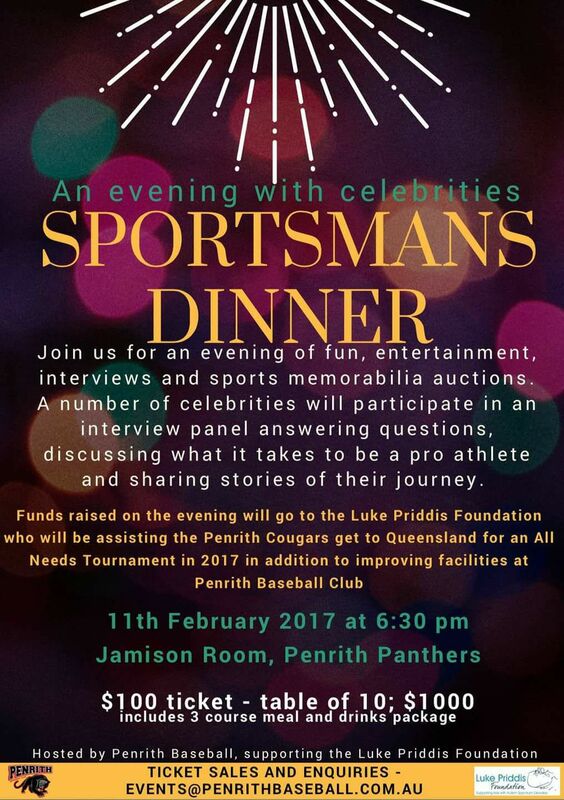 Penrith Baseball Club will be hosting a Sportsman dinner on the 11th February 2017. Details can be found in the flyer below, all funds raised will go to the Luke Priddis Foundation who will be assisting our All Needs Penrith Cougars get to Queensland for an All Needs tournament! No Replies to "Sportsman Dinner - 11th Feb 2017"